Shiver Me Timbers, It's a Pirate Ship! 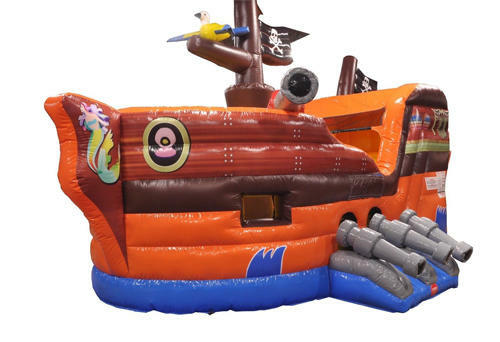 This 4 in 1 Pirate combo inflatable will have the buccaneers plundering on the high seas in no time, in this amazing realistic inflatable pirate ship. Features a bounce area, climb, slide, and basketball hoop! 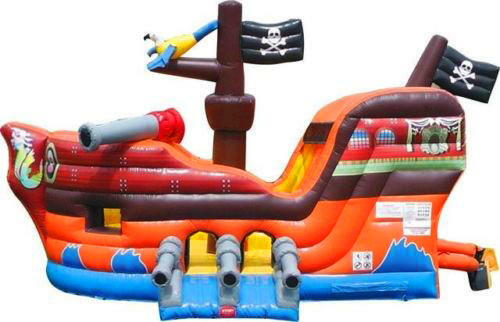 Large cannons stand at the ready all round this amazing combo bouncer, and from back on the poop deck there's a great slide down to the main deck. 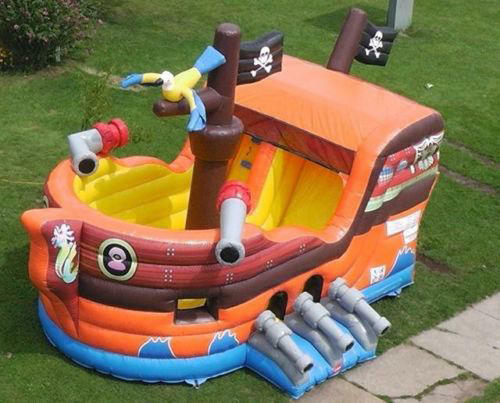 Your crew will have a great time on this centerpiece combo bouncer rental.